Have you been considering a trip to Ireland? Whether you're traveling from around Europe, North America, Australia or any other part of the world, flights are available each and every day to take you to this beautiful green countryside. Flights to and from Ireland are available on a regularly scheduled basis. Depending on where you are traveling from, you may opt to take different airlines such as Aer Lingus, United Airlines, Air France, Lufthansa and Delta Airlines. Not only must you choose which airline you will be taking to Ireland, but you will also need to decide on the area that you will be flying into. Because Ireland is a large country, there are airports located in all major cities such as Cork, Dublin, Shannon and Waterford. Aer Lingus is by far the most popular airline that flies in and out of all Ireland airports daily. This airline guarantees safe and dependable service to destinations all around the world. Fly from Ireland to the United States, London, Italy, Canada and many more unique locations. Wherever you choose to go, Aer Lingus will get you there. Domestic and international flights are available at affordable rates when making reservations in advance. On a daily basis, travelers can expect to see a number of flights from Aer Lingus at airports around Ireland. In Dublin alone, there are typically 48 flights per day through just Aer Lingus. Along with other major airlines that service the airport, visitors will find hundreds of flights each day that travel to various locations all over the globe. 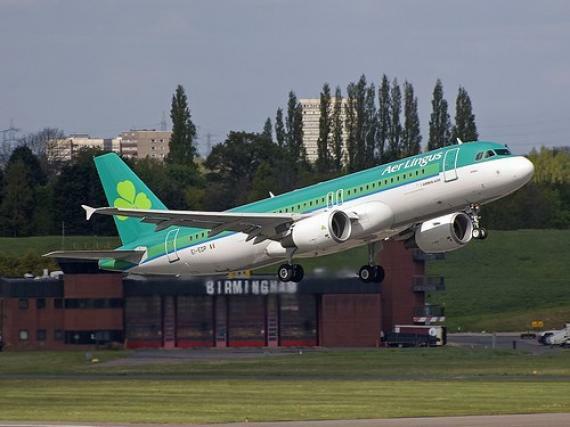 The Cork Airport usually offers 17 Aer Lingus flights per day and around 5 leave from the Shannon Airport. Not only do travelers look for flights from out of Ireland, but many choose to fly into this popular European destination. Airline tickets to Ireland can be purchased online to find the very best deals around. When booking online in advance, you will be guaranteeing your seats aboard a plane to Ireland and getting some of the lowest prices available. Last-minute flights to the country are also available which offer rock bottom prices on flights leaving the same day. If last-minute travel does not interfere with your schedule, this could be the very best way to see Ireland and enjoy a reliable, comfortable and affordable flying experience on the way to your destination.